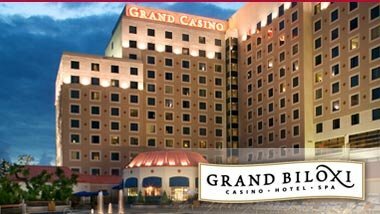 Located in the heart of the Mississippi Gulf Coast, Harrah's Gulf Coast (Formally Grand Biloxi Casino, Hotel & Spa) is an ideal destination, where you can escape to exciting gaming, fine dining, a championship Jack Nicklaus golf course and the luxury of a full-service spa. We've got the games you want to play! From blackjack to slots, you'll find all the action here, 24 hours a day. Harrah's Gulf Coast all-new casino floor brings you 800 slots and 35 table games - and we bring you ways to win beyond your wildest dreams. Variety is the spice of life, and the Harrah's Gulf Coast Buffet that's true twice over with a different dinner menu each night. Enjoy Java Coast coffees, breakfast sandwiches, salads, deli sandwiches and wraps 24 hours a day.